Taking too much preformed vitamin A (retinol) does matter. Being an active form of a fat-soluble molecule, any excess amount of it will not be simply eliminated. Like any oil or fat-soluble compound, fat-loving vitamins stick around. Up to 90% of the entire amount of ingested vitamin A remains stored in the liver, only small amounts will be released in the circulation when needed – a commute ensured mainly by the retinol binding protein and pre-albumin. How much retinol (preformed vitamin A) is needed for body functions, on a daily basis? The Office of Dietary Supplements of the U.S. National Institutes of Health indicates a necessary daily total of 5,000 international units (IU) of vitamin A for healthy individuals above the age of 4. Other sources indicate the required dietary intake being much less, such as 2300IU. I was saying in a previous post that your body won’t say no to the vitamin A. Ingested amounts above the required dietary intake will be stored by and accumulate in the liver for what amounts to an indefinite amount time (i.e. a REALLY long time). Many animal species have a similar mechanism of storing activated vitamin A in the liver. The hepatic stellate cells are the liver cells re sponsible for retinyl ester storage, having them pile up in the form of fat droplets. A retinyl ester is a retinol ready to go, if you want. It is like me packing to go hiking as opposed to me actually hiking. It is the same thing, only with an “action” twist. Now, since animals have a vast majority of their vitamin A stored in their liver, it makes complete sense that consumption of animal liver – be it fish, chicken or beef liver – provides the highest vitamin A intake per bite. The liver is the vitamin A trove. Eating liver is like looting a treasure trove! You take it from someone else’s trove and put it straight into your own. Since retinyl esters are piled up in fat droplets in the animal liver, once we eat liver (or pâté, or cod liver oil), the absorption through our gut is nearly 100%. So, depending on the specific diet of the animal whose liver we are eating, the amount of activated vitamin A can range from “a lot” to “toxic” (see my previous post on why you should NEVER eat bear or seal liver). Understand this, there is no such thing as “just a little” vitamin A if you’re eating liver. A serving size of beef liver (one slice) provides sufficient preformed, activated vitamin A for at least 3-4 days. A serving size of chicken liver (100g or 3 oz) will provide roughly 2-3 days worth of vitamin A dietary needs. Naturally, the actual amount of vitamin A in a particular given chicken or beef liver varies depending on the diet provided to that animal. If they are not fed grass or grains, the cows and chickens are provided with a diet that is artificially enriched in beta-carotene. They will convert this beta-carotene and store the vitamin A as retinyl esters in the liver – then the liver portion you will ingest may provide you with potentially more vitamin A than normally estimated. This opens room for a wide discussion that I will approach in a different post. Cod liver oil is an even more concentrated source of vitamin A, one teaspoon provides activated vitamin A for 3-5 days. The total amount depends on the actual brand of cod liver oil. This supplement is highly debated given the very high amount of vitamin A it provides and very little amount of vitamin D (although the D amount is appropriate for the daily intake requirement). Many – and that includes myself – believe that by giving too much vitamin A, you displace vitamin D from its actual circuit in the body. Sweden supplemented their dairy products with vitamin A for a long time and then they realized that the population develops more osteoporosis because the vitamin D levels went down despite the high amounts of milk and cheese they were eating! So, I’m wondering, if many are concerned about the BIG downsides of cod liver oil intake, why we are not concerned about supplementing vitamin A by up to 25,000IU daily? If we did such a great job in basically eradicating vitamin A defi ciency at the population level in the U.S. and rest of the developed world, is it decently possible that – beyond a certain age – our food more or less supplies too much vitamin A? For example, fortified cereals provide up to 15% of the needed daily vitamin A per serving, almond milk and the 1% milk provide 10% of the daily needed vitamin A in a cup (240ml or 8oz), one banana provides 2% of the daily needs, sugar cookies provide 6%, one croissant yields 4%, one single egg gives you 6% of the vitamin A needed, and one single waffle gives you 20% of the daily vitamin A. Please note that I did not even get into the examples of carrots, green leafy vegetables, sweet potatoes etc. Almost any great and healthy diet will provide 2-4 days worth of vitamin A per day. Too see whether the country you are in reported any concerns regarding vitamin A deficiency risk, check out the World Health Organization data provided in the info-graphic here. This will give you an estimation of whether you may be at all at risk for low vitamin A or not. Who knows? You may be perfectly fine in fact! It turns out that if – on top of these delicious and healthy foods – you take one daily multivitamin, you would be constantly adding (and storing) roughly 2,000IU of vitamin A. How many individuals would do so? According to a relatively recent study (Bailey et al, 2011), half of the adults involved in the National Health and Nutrition Examination Survey (NHANES) were taking one dietary supplement, 20% of the participants reported taking two supplements and 10% administered 5 dietary supplements to themselves. Nearly 80% of participants reported taking the supplements daily for at least the last 30 days. Clearly we have educated people well and they are conscious about taking nutrients that they may be lacking. But it is almost guaranteed that they are not lacking vitamin A! If you look to pick a multivitamin, pick the one with either the least or no vitamin A at all. Unless you were diagnosed with a medical condition that prevents fat absorption or with an actual vitamin A deficiency, do not supplement vitamin A alone. If you are pregnant and you are told that the pregnancy daily requirements for vitamin A are 5,000IU, think this information through. What do I mean by this? Let me explain, the information is correct. However, increasing your daily vitamin A intake by taking a daily prenatal multivitamin with a higher vitamin A content means you are assuming that, before the moment of your pregnancy, you haven’t already stored a concerning amount of vitamin A. Prenatal multivitamins are more-or-less designed as a one formula-fits-all. Whether you already have too much vitamin A or not, only you can tell. First: where are you on the globe? The country you are in will indicate whether or not you are likely to have already stored tons of vitamin A in your liver or not. Go ahead and check the info-graphic here to find out whether the country you are in has ever had a vitamin A deficiency issue (at least as reported by the World Health Organization). Second: how old are you? The younger the pregnant woman, the less likely it is that she will have already stored too much vitamin A. A mother younger than 25 is a better candidate for prenatal vitamins with higher vitamin A content than a mother over the age of 40. The older the age and the fewer the number of pregnancies, the less vitamin A supplementation is needed. Long ago, a study on arctic rachitic foxes indicated that foxes with rickets may have been due to vitamin A toxicity. More recently, Lindt et al have shown that excessive vitamin A intake led to a reduction of the skull bone thickness in mice. “An excessive intake of vitamin A has been associated with an increased risk of fractures in humans. In animals, a high vitamin A intake leads to a reduction of long bone diameter and spontaneous fractures” – PLoS One. 2013 Dec 10;8(12):e82388. doi: 10.1371/journal.pone.0082388. It very much seems that increased levels of vitamin A can have deleterious effects on bone structure, resulting in increased skeletal fragility. 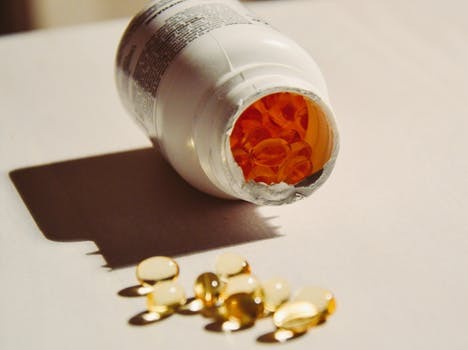 Too much vitamin A may lead to insufficient vitamin D. Insufficient vitamin D leads not only to osteoporosis and fractures, but is also associated with type 2 diabetes and cancer. Investigating these concerns, Conaway et al wrote back in 2013 one of the most complete scientific literature reviews (read the peer-review article here). The group provided a comprehensive documentation of the clinical studies identifying or not a relationship between taking too much vitamin A and osteoporosis or fractures and I encourage you to review their scientific literature search here and judge for yourself whether or not taking too much vitamin A (without any readily observable toxic effects) poses a health risk or not. Read it carefully and share what you learn – save a life! I encourage you to talk to your healthcare providers (physician, registered dietitian, pharmacist, etc.) about your interest in, questions about, or use of foods or dietary supplements and what may be best for your overall health. Any mention in this post of a specific brand name is not an endorsement of the product. Geubel et al. Liver damage caused by therapeutic vitamin A administration: Estimate of dose-related toxicity in 41 cases. Gastroenterology 1991, 100, 1701–1709. Ramanathan et al. Hypervitaminosis A inducing intra-hepatic cholestasis—A rare case report. Exp. Mol. Pathol. 2010, 88, 324–325. Croquet et al. Hepatic hyper-vitaminosis A: Importance of retinyl ester level determination. Eur. J. Gastroenterol. Hepatol. 2000, 12, 361–364. Kowalski et al. Vitamin A hepatotoxicity: A cautionary note regarding 25,000 IU supplements. Am. J. Med. 1994, 97, 523–528. Nollevaux et al. Hypervitaminosis A-induced liver fibrosis: Stellate cell activation and daily dose consumption. Liver Int. 2006, 26, 182–186. Muenter et al. Chronic vitamin A intoxication in adults. Hepatic, neurologic and dermatologic complications. Am. J. Med. 1971, 50, 129–136. Previous Previous post: Watch vitamin A in kiddos! No kidding!